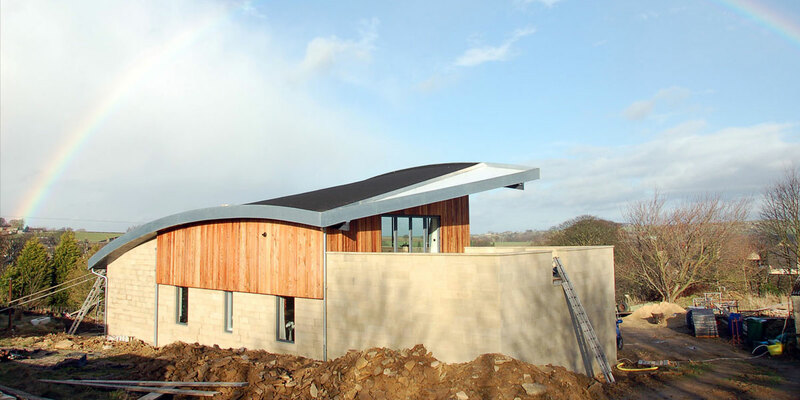 On a hilltop overlooking the market town of Penistone is the latest edition to the landscape. 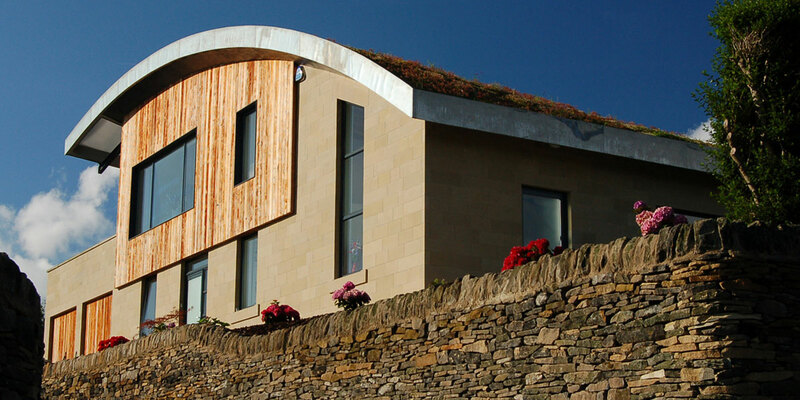 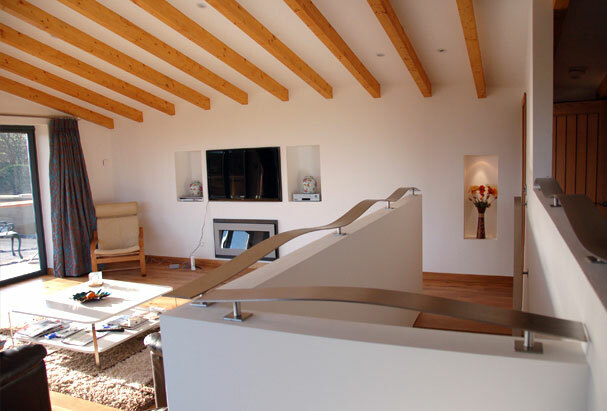 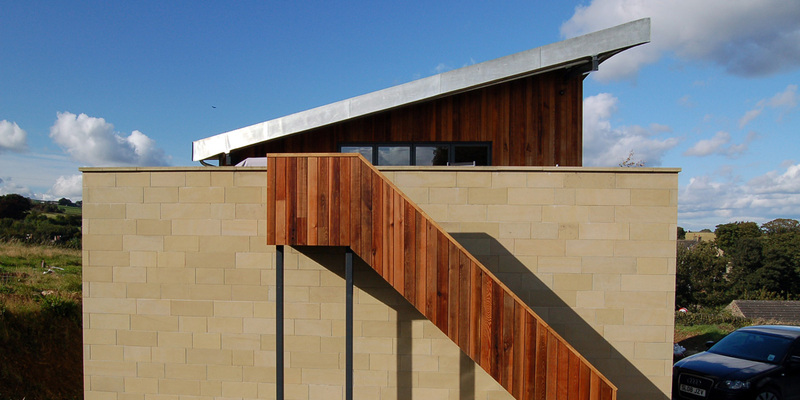 A curved sedum planted roof, Yorkshire stone walls and red cedar cladding combine to nestle this award winning home into the rolling Yorkshire hills. 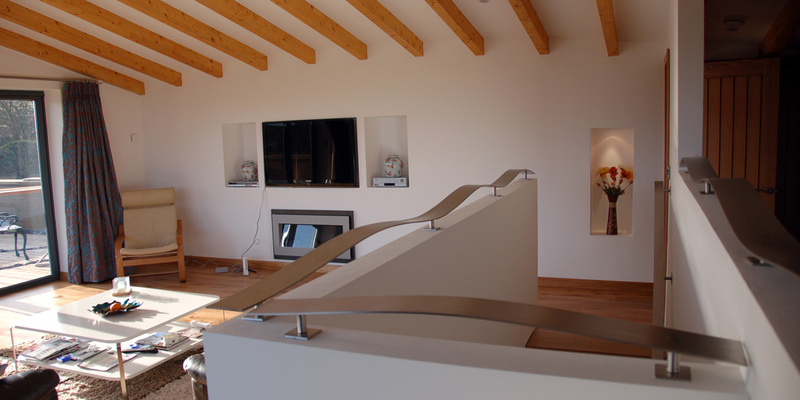 The typical house layout has been inverted with the living space on the first floor to take advantage of the marvelous views over the town. 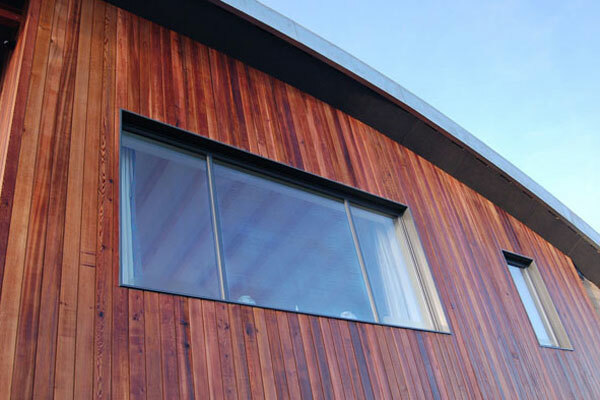 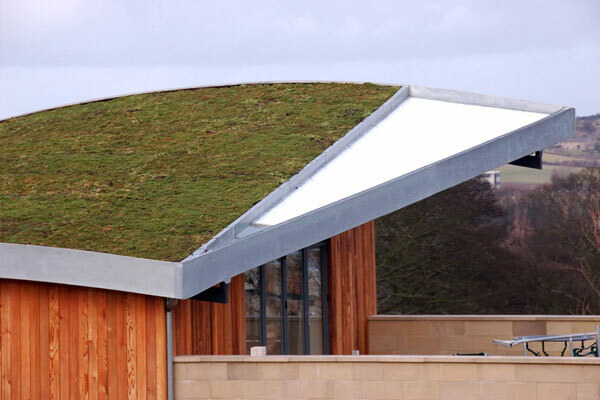 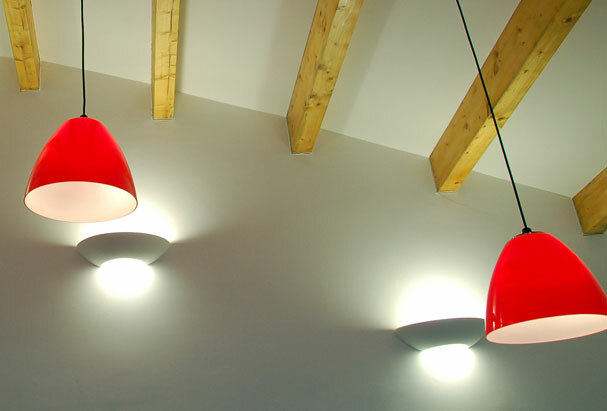 The building has substantial green credentials; the planted roof reduces rainwater run off in the wet winter days and a rainwater recycling system helps combat the dry summer spells; high levels of insulation and thermal mass combine with a heat recovery ventilation system and an air tight fabric to combat the rising fuel bills. 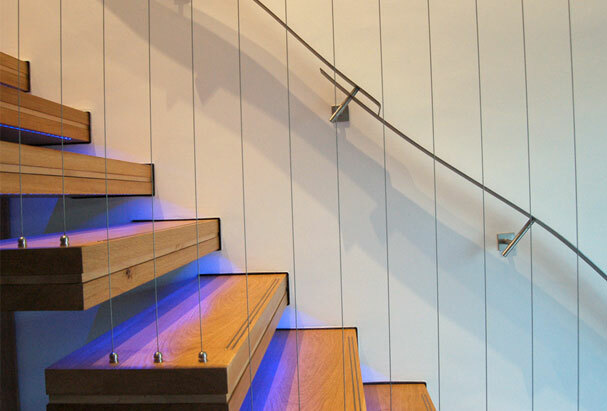 Architecture and engineering combine beautifully on the delicately suspended oak and sycamore stair, the centre piece of the house.